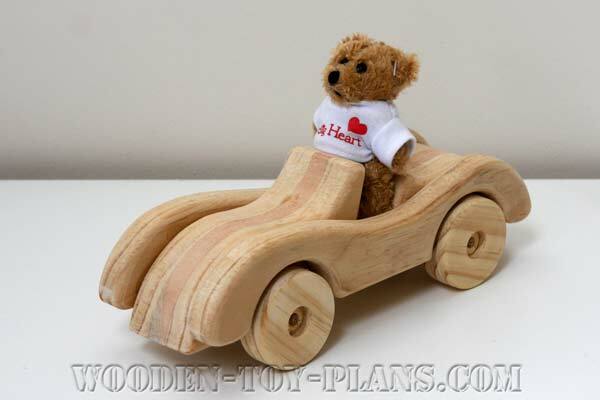 Making a wooden toy car for kids is great fun, perhaps even more fun than the kids themselves would have playing with them. Better than buying a toy from a store, this is one that you have made yourself, perhaps even designed yourself. Making animated toys is a challenge, but it does have it's rewards. Could there be anything more satisfying than watching the kids play with the wooden toys you have made? 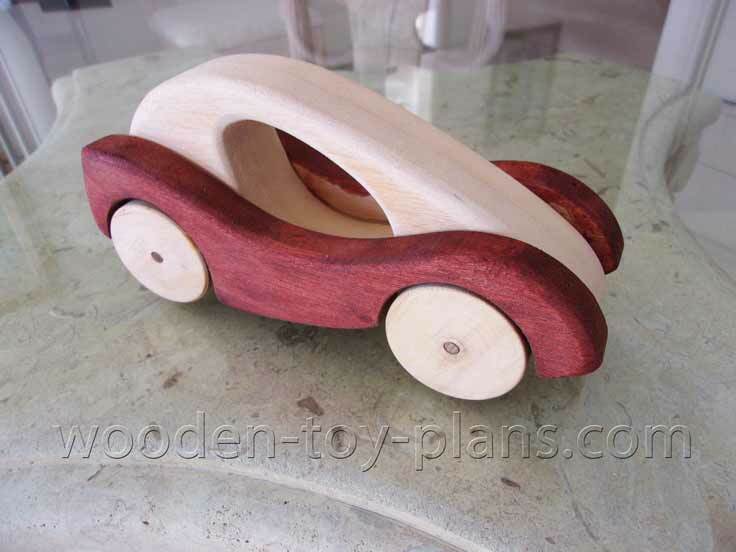 Wooden car designs is a great scroll saw project to practice with. Download the free plan today. 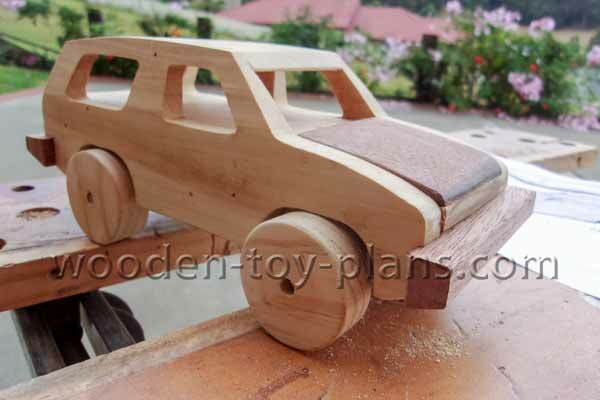 How to build this 4x4 DIY Wooden Car link to page includes full size printable template patterns with instructions. Racing toy car plans link to free download. 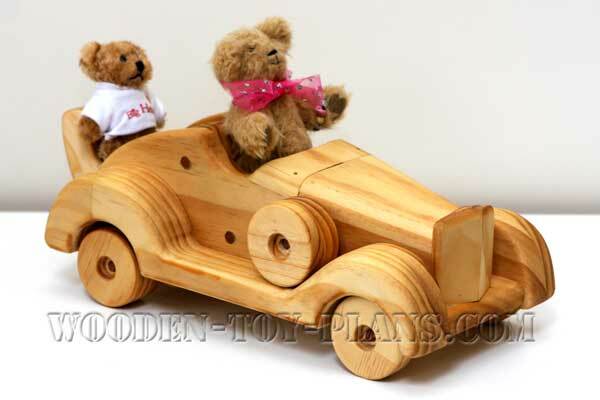 Make this delightful toy racing car using only hand tools and bits of wood from your scrap bin. Print ready PDF full size patterns with step by step instructions with photos. 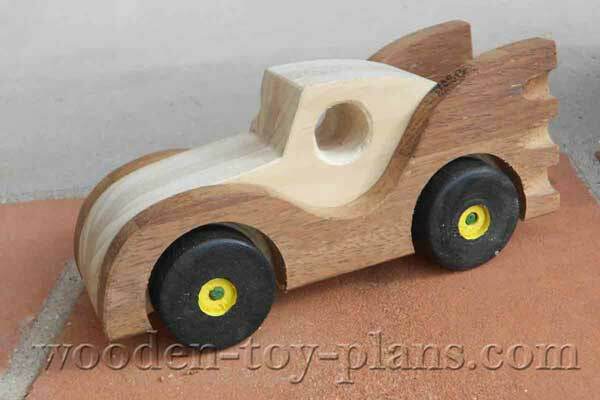 This free wooden toy car plan is inspired by the coupe from the 1930's, this roadster is fun to build. Print ready PDF step by step instructions with photos are also available. The Batmobile has similar construction method as the racing car. The addition of rocket power makes this car hard to beat. Although it may not be a car this wooden toy truck is another fun project. This example has been coloured with food colouring, but it also looks good untreated. How to Make Animated Toys that that do all of these things: they walk, wiggle, waddle, wobble, whirl, swirl, stroll, stride, shimmy, shake, rattle and roll. How many more words can you think of? Probably more than you could shake a stick at. Make wooden toy trains that excite the imagination of children and teach them hand-eye coordination with this special stacking wood toy train. 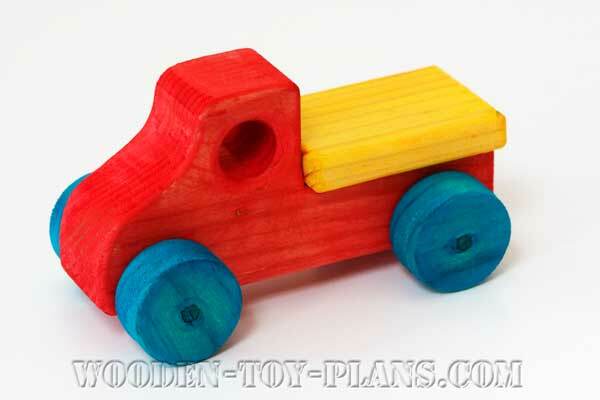 Make wooden toy trucks with one of the more popular books on making wooden toys. You do not have to have a great number of tools, and the projects are relatively easy for beginners. Surprise your family with these lovely projects from these easy to follow detailed plans. Even though these toys are not models it may take a fair amount of time, but the results are very satisfying.